(CBS) — Cargo pilots are calling for federal agencies to help prevent accidents that might be caused by pilot fatigue. They say they need the same protections limiting the hours they fly that currently apply to passenger pilots. 2 Investigator Pam Zekman reports. The cargo pilots have been waging the battle in court, in Congress and with the Federal Aviation Administration. It all started with a deadly plane crash in 2009. 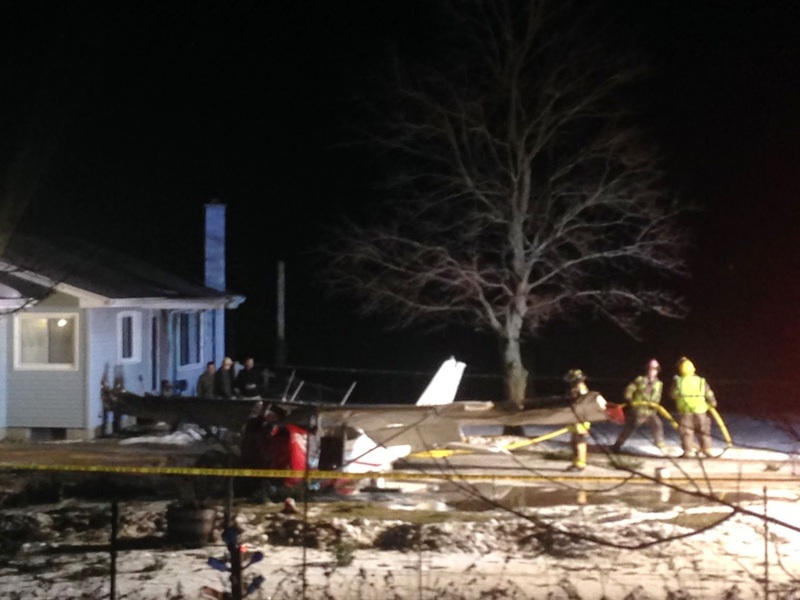 Fifty people were killed after a passenger plane crashed into a house near Buffalo, N.Y. The National Transportation Safety Board (NTSB) said the crash was caused partly by pilot fatigue. In the aftermath, Congress mandated that the FAA address, among other things, the fatigue issue. Last year, the FAA did approve new regulations that limited pilot shifts to eight to nine hours and required 10 hours of rest between them. But, the regulations applied only to passenger pilots. Cargo pilots were left out, meaning they could still work up to 16 hours. Capt. Robert Travis, president of the Independent Pilots Association, which represents more than 2,600 UPS employees, said that creates a dangerous double standard. “That is a recipe for disaster,” he says. In 2013, a UPS cargo plane flying to Birmingham, Ala. crashed short of the runway, killing the two pilots. A transcript of their cockpit conversation reveals they were talking about fatigue before the crash. “When my alarm went off, I mean, I’m thinking, ‘I’m so tired,’” the first officer said. “I know,” the captain responded. The NTSB ruled fatigue contributed to the accident, not because of excessive hours for the crew but because they mismanaged their time off. A survey of UPS pilots done by the Independent Pilots Association found 96 percent of those who responded said they’ve felt fatigued while on duty. Ninety-three percent said it’s not uncommon to fly with another crew member who exhibits signs of fatigue. “Pilots have a shared responsibility to show up at work ready to fly, and if they’re not ready to fly, they’re fatigued, they have an obligation to report that,” says Jean Medina, spokeswoman for Airlines for America, which represents both passenger and cargo airlines. The cargo pilots association points out that most of their flights are at night. “The most challenging environment to fly in is flying night cargo on the back side of the clock,” Travis says. The Airline Association says safety is always their highest priority and the FAA decision was appropriate. But the pilots association is fighting it in court. A UPS spokesman says the company’s contract limits pilot shifts to no more than 11 hours, which is less than the 16 hours the regulations allow. And he blames the current airing of this controversy on the fact that new contract negotiations are underway. PRESCOTT, AZ -- Plane rides can sometimes end in tragedy, and it's up to investigators to figure out what went wrong. Some of the best that are called to look into those accidents come from right here in Arizona. Jonathan Lowe took a look at a crash lab that is helping make travel safer. It was six years ago Thursday that Captain "Sully" Sullenberger turned the busy Hudson River into a runway. Back in 2009, U.S. Airways flight 1549 left Laguardia Airport and hit some geese, which took out both engines. Amazingly, all 155 people on board survived and only had minor injuries. Most often, plane crashes don't end up like that, and it takes a team of investigators and analysts to figure out what went wrong. Some of the best that are called to investigate those accidents come from right here in Arizona. It's the only thing worse than pictures of wreckage: video of distraught family members desperate to know what happened to their loved ones' plane. "It motivates us more to make sure that doesn't happen in the future," freshman Emilio Navarrete said. Located at Embry Riddle Aeronautical University's Prescott campus, there's a college study lab you've probably never seen the likes of. CBS 5 News got a rare tour of the Robertson Aviation Safety center. Pictures don't do it's extensive detail justice. "One of the things that we try to teach the students is you gotta find the four corners of the airplane," said William Waldock, the crash lab's director. "We're the most complete because we go to the full extent of re-constructing everything including the foliage and the fire." Aspiring crash investigators have unfettered access to real crashes that have been relocated to the campus. Waldock is not only the lab's director, but he's also a professor at Embry Riddle and decades-long aircraft crash expert. "I actually did 103 interviews on MH370," Waldock added. There are three crashed helicopters and six planes on the eight-acre plot of land. Not only is the crash lab unique, it replicates each and every detail of the actual crash site. "Well we start usually with the NTSB report," Waldock explained. "Hopefully they got some good scene pictures and in a couple of cases I worked on some these [crashes]." "I was in the Marine Corps and my background was helicopters so I just fell in love with aviation," said Eleazar Nepomuceno, a graduate student and the crash lab's supervisor. It's the job of students like Nepomuceno and Emilio Navarrete to make sense of all the broken, burned, bent pieces of metal. "It's interesting to know that there was human lives attached to this and it just makes our job as accident investigators and advocates of aviation that much more important," Navarrete said. They admitted putting the puzzle together can be daunting. "When I first walked into the scene it was very disheartening because I did not know where to start," Nepomuceno said. "There's pieces everywhere." But through what they learn about the crash, "we can promote safer aircraft, safe pilots, and that was something I was really fascinated with," Nepomuceno added. ESCANABA -- The Delta County Airport is not closed, but all commercial inbound and outbound flights have been cancelled. That's because a crucial piece of FAA equipment malfunctioned over the weekend. The Airport Weather Observation System is necessary for pilots to fly safely. The weekend and holiday have caused a delay in repairs. FAA maintenance crews arrive on Tuesday. At this point, there are a lot unknowns, including the equipment's issue, and the flight schedule. "Because they don't even know what's wrong with it, they'll have to get here tomorrow morning and hopefully it's a quick fix, it's a glitch, it's a small part, who knows," said Kelly Smith, airport manager. "We're keeping our fingers crossed it's a fast fix tomorrow morning." If it's a quick fix, the planes could be taking off by mid afternoon Tuesday. 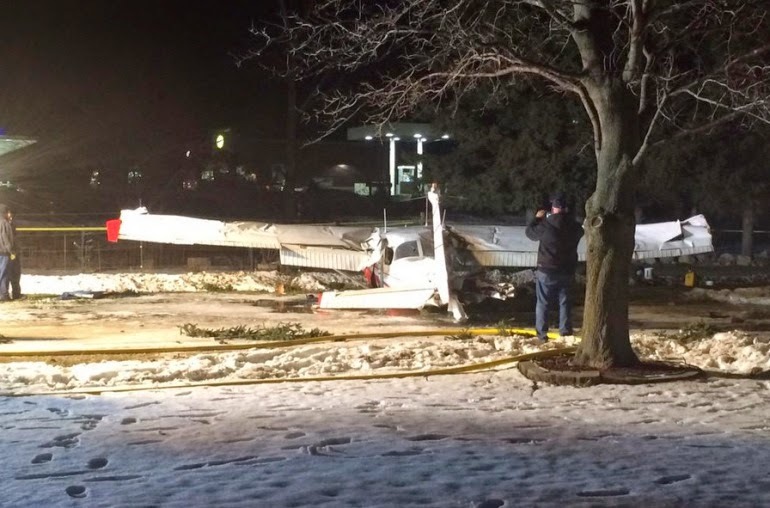 LOWELL, MI -- A 30-year-old Grand Rapids man was taken to the hospital for an evaluation but appeared to have no obvious injuries after crashing a plane Monday night near the Lowell City Airport, authorities said. The crash was reported around 5:45 p.m. Jan. 19 in a driveway at 484 Lincoln Lake Ave. According to Kent County Sheriff's Lt. Jack Smith, the Grand Rapids man, a student pilot, was attempting to land when something went wrong. The pilot came out of the landing, struck a few treetops and crashed on a driveway, right next to a home owned by Suzanne Fedewa and her husband, and near a gas station. Foam has been sprayed onto fuel that spilled from the Cessna 172 to lessen the fire risk. A flight instructor was watching the student pilot's landing and recording video footage when the crash happened, Smith said. Federal Aviation Administration investigators are on scene and will be handling the case. The pilot had been in training since April 2014 and was flying in the area solo for about two hours Monday night, the sheriff's lieutenant said. Airport Manager Casey Brown was among the first to arrive after the crash. Though the single-engine plane is a total loss, it was engineered well to take the hit. The 1960s-era plane was built solidly, he said. "It did its job as far as I can see," Brown said. "The pilot is very, very fortunate." Fedewa was home, sitting in her living room, when she heard a loud noise outside that sounded like crunching, but without the squealing tires that typically signal a car crash. She looked out and saw the plane in her driveway. Fedewa moved quickly to grab her boots and a coat, simultaneously trying to call 911. The pilot was able to get out and came inside out of the cold. He had cuts on his face and significant bruising beginning to show on one side but was able to sit up and talk. "At first he was kind of confused and said he didn't know what had happened," Fedewa said. The pilot soon recalled not feeling well about his impending landing and trying to readjust, come around and try again. That's when he hit the top of a pine tree in Fedewa's yard. The gas station next door has been there less than a year and remains a concern for her and her husband. She hopes the township will continue looking into the logistics of it, for the safety of the airport and for the quality of her land nearby. 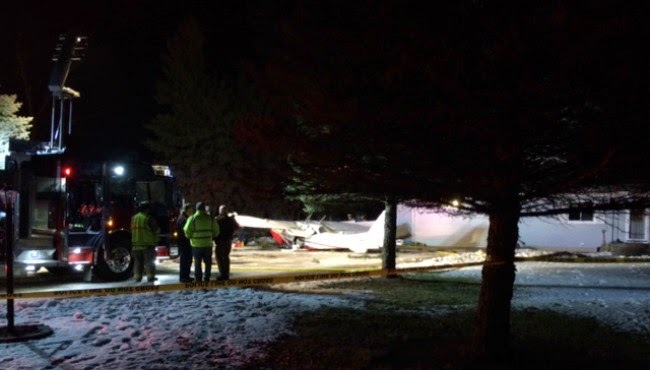 LOWELL, Mich. (WZZM) -- A man is recovering from non-life-threatening injuries after a small plane crash. The crash was reported in the 400 block of Lincoln Lake Ave. SE, near the Lowell City Airport south of Vergennes St., around 5:50 p.m. Monday. The plane is a Cessna 172 registered to Majestic Air. Majestic Air's website says the company provides flight training and other aviation experiences. Authorities say the student pilot had been on a two-hour flight with his instructor prior to attempting a solo landing. In attempting the landing, the plane clipped some tall pine trees, sending the plane into a crash landing onto a property near the airport. The plane came to a stop on the property's driveway, very close to the house there. After the crash, the 40-year-old student pilot walked to that nearby home for help and was then taken to a hospital. 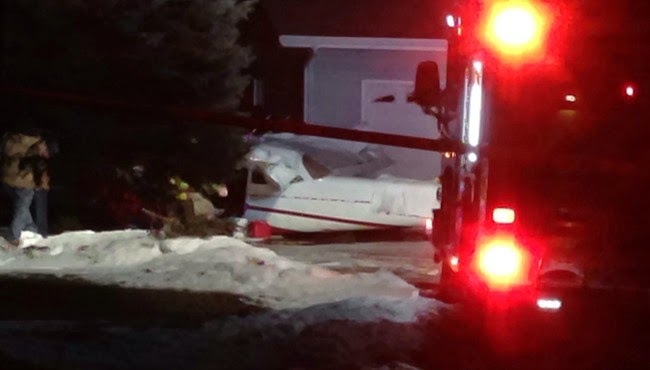 LOWELL, Mich. (WOOD) — A plane crashed in front of a home near the Lowell City Airport Monday, causing its pilot some injuries. 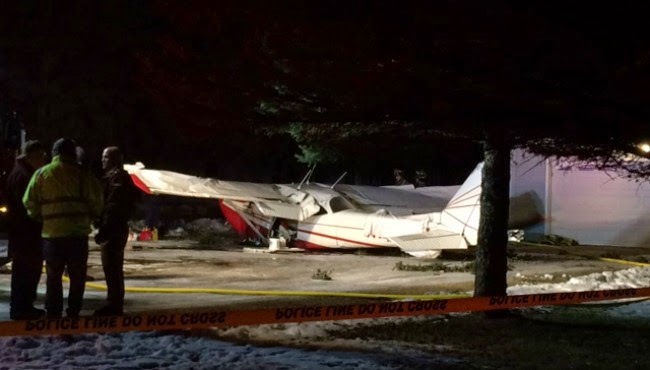 The pilot was trying to land the Cessna 172 that was built in 1964 when something went wrong and plane crashed, Kent County Sheriff’s Department officers on the scene told 24 Hour News 8. It’s not yet known whether the error was mechanical or on the part of the pilot. The plane crashed in the driveway of a residence. 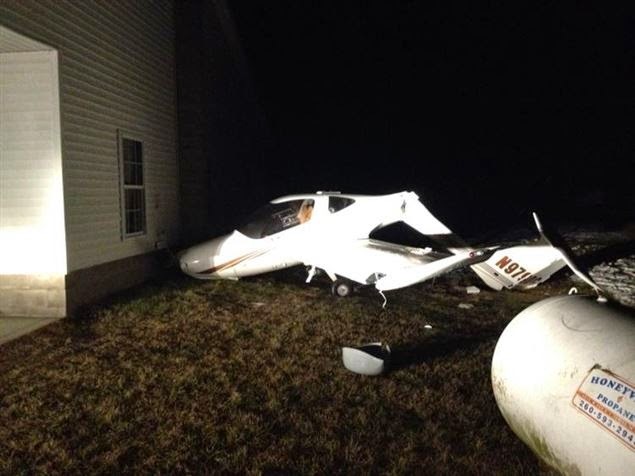 The owner of that house told 24 Hour News 8 she came outside to find the plane about five feet from her home. The pilot was hospitalized with non-life-threatening injuries, authorities said, though they did not specify the nature of those injuries. The homeowner said the pilot’s face was bleeding and that he asked for a towel before he would go into her house. The pilot, the only person in the plane, is a student who has been training since April. The flight was being recorded by the person training the pilot. The homeowner said she was initially told the plane would not be removed until Tuesday. The sheriff’s department said that’s up to the Federal Aviation Administration. FAA investigators arrived on the scene just before 7:30 p.m. There is a gas station only about 50 feet from where the plane crashed. 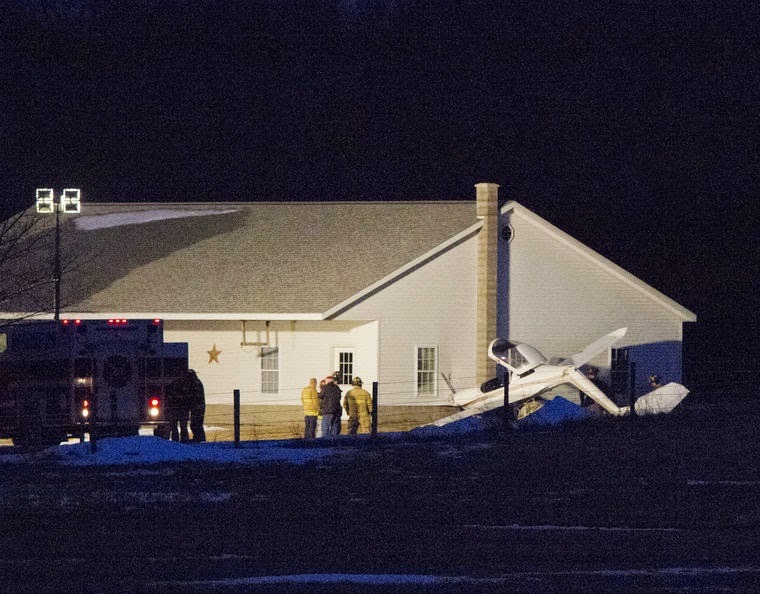 KENT COUNTY, Mich. — Emergency personnel are responding to a Monday evening plane crash in eastern Kent County. The crash of a Cessna 172 was first reported at 5:46 p.m. Monday at 432 Lincoln Lake, south of Vergennes. The crash site is between the Lowell City Airport and Vergennes, north of the airport. The Lowell City Airport is located at 730 Lincoln Lake. First responders said that one person was involved in the crash, and was up and walking around the area when they arrived. Emergency personnel from Lowell and the Kent County Sheriff’s Office are on the scene. FOX 17 NEWS has a crew en route to the crash scene and will provide updates as they become available. The student pilot reported that he was practicing solo ground reference maneuvers about 1,600 ft above ground level when the engine began operating erratically. He further stated that the airplane might have entered an aerodynamic stall. He advanced the throttle to full forward, but the engine did not respond and subsequently experienced a total loss of power. He attempted to restart the engine by completing the emergency procedures that he remembered. The engine “turned over” but did not restart. He then prepared for a forced landing to a nearby field. 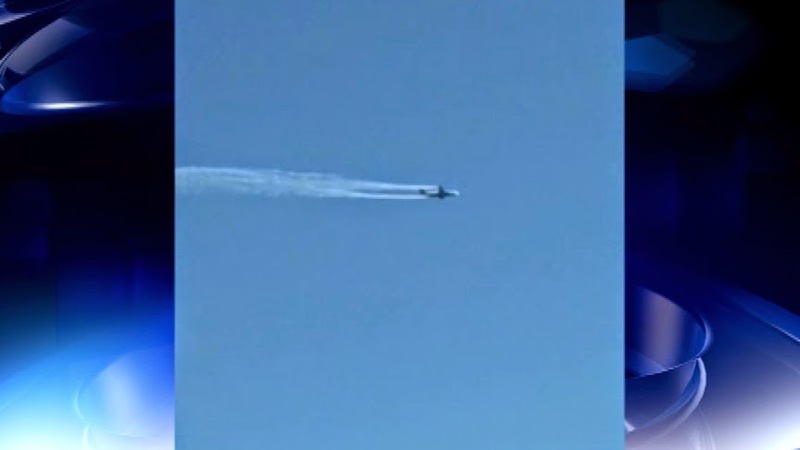 During the base-to-final turn, he lost control of the airplane, and it descended to the ground. 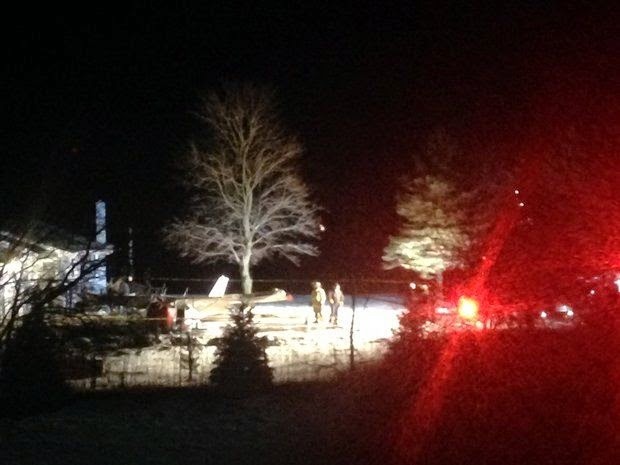 The airplane impacted the field and continued into a propane tank and then a house where it came to rest. A postaccident examination of the airplane revealed that most of the induction air filter was obstructed by ice; no other anomalies were noted. The engine was test run with and without the ice in the air filter, and the engine produced full power under both conditions. The alternate air lever, which selects a second induction air intake in case the primary air intake (air filter) becomes restricted, was found in the “off” position. The aircraft flight manual states that, in the event of an in-flight engine failure, the alternate air control should be opened (or “on”). A Federal Aviation Administration advisory circular warns pilots of induction system icing known as “impact ice,” which can build up on components like the air filter when moisture-laden air is near freezing. Based on the near-freezing outside air temperature and clouds in the area in which the flight was operating and the lack of any apparent engine malfunctions, it is likely that the primary air induction system became obstructed with impact ice during the flight. When asked about the airplane’s alternate air lever, the student pilot indicated that he was unfamiliar with the lever and did not know its intended use. If the student pilot had opened the alternate air control during the initial power loss, it is likely that engine power would have been restored. The total loss of engine power due to impact ice obstructing the primary air induction system, which resulted from the student pilot’s failure to operate the alternate air control. Contributing to the accident was the student pilot’s lack of knowledge about using the alternate air control during an engine power loss. On January 19, 2015, about 1700 eastern standard time, a Diamond Aircraft Inc. DA 20 C1 airplane, N979DC, made a forced landing into a field near Shipshewana, Indiana. The solo student pilot was not injured and the airplane sustained substantial damage. The airplane was registered to and operated by New Horizons Aviation Inc. under the provisions of 14 Code of Federal Regulations Part 91 as a solo instructional flight. Visual meteorological conditions prevailed and no flight plan was filed. The local flight departed from the Goshen Municipal Airport (GSH), Goshen, Indiana about 1645. According to the student pilot, he was about 1,600 feet above ground level practicing ground reference maneuvers. He reported that the engine operation became erratic and the airplane might have entered an aerodynamic stall. He advanced the throttle to full forward, but the engine did not respond and experienced a total loss of power. He attempted to restart the engine by completing the emergency procedures that he remembered. The engine "turned over" but did not restart. He then prepared for a forced landing into a nearby field. During the base to final turn, he lost control of the airplane and descended to the ground. 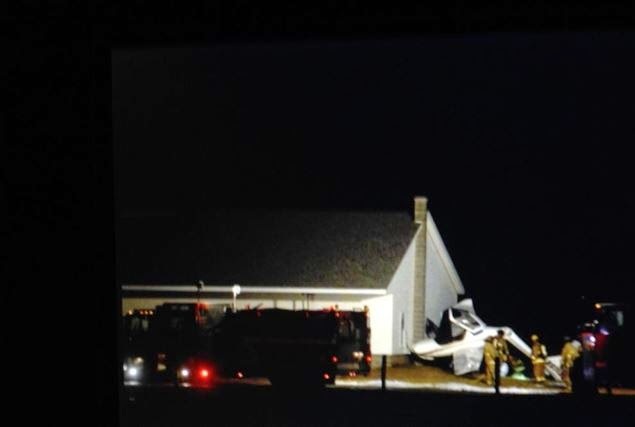 The airplane impacted the field and continued into a propane tank and then a house where it came to rest. The student pilot reported having accumulated 12 total flight hours, all of which were logged in the preceding 30 days, and in the same make and model airplane. The airplane was a two seat, low wing, tricycle landing gear, training airplane which was manufactured in 2005. It was powered by a 125-horsepower Continental Motors Inc. IO-240 engine, which drove a Sensenich two-bladed, fixed pitched, wooden propeller. On January 22, 2015, the airplane was examined after the accident by a Federal Aviation Administration (FAA) Inspector and a representative from Continental Motors Inc. The examination revealed that the majority of the induction air filter was covered with ice. The alternate air lever in the airplane was OFF. The engine cylinders each displayed normal operating signatures. The spark plugs displayed normal wear signatures when compared to a Champion Aviation Service Manual No. AV6-R. Internal crankshaft continuity was established by rotating the propeller. Additionally, all four cylinders displayed thumb suction and compression. The top spark plugs and ignition leads were reinstalled for an engine operational test run. The air filter remained impacted with ice during the first engine run; the engine was capable of running with the throttle full forward and produced about 2,200 RPM which is normal for a fixed pitch propeller. The alternate air lever was moved to ON and the engine was still capable of producing about 2,200 RPM. The engine was then shut down and the ice removed from the air filter. The engine was subjected to a second test run; the engine produced 2,200 RPM with the throttle advanced to full forward. The ignition switch was actuated to test both magnetos and the decreases in RPM were normal and the engine indications displayed normal operating parameters. Other than the ice in the air induction filter there were no anomalies noted that would have precluded normal operation. The airplane sustained substantial damage to the fuselage and empennage. During the postaccident investigation, the pilot was asked about the airplane's alternate air lever. He reported that he was unfamiliar with the lever and did not know its intended use. He also stated that he flew through some low clouds during the flight, but they did not obstruct his view of the ground and he was able to maintain visual flight rules (VFR) the entire time. At 1653 the weather observation station at GSH, which was located 13 miles southwest, reported the following conditions: wind from 200 degrees at 3 knots, visibility 10 miles, few clouds at 12,000 feet, temperature 36° Fahrenheit (F), dew point 30° F, altimeter setting 29.94 inches of mercury. Using the average temperature lapse rate, 3.5° F per 1,000 feet, the temperature at 1,600 feet would have been about 30° F.
The Diamond Aircraft Airplane Flight Manual (AFM) stated in Chapter 7.9.2 Engine Controls: The alternate air control selects a second induction air intake in case of restriction of the primary air intake (air filter). 7. No Improvement – reduce throttle to minimum required power, land as soon as possible. "Impact ice is formed by moisture-laden air at temperatures below freezing, striking and freezing on elements of the induction system which are at temperatures of 32° F or below. Under these conditions, ice may build up on such components as the air scoops, heat or alternate air valves, intake screens, and protrusions in the carburetor. Pilots should be particularly alert for such icing when flying in snow, sleet, rain, or clouds, especially when they see ice forming on the windshield or leading edge of the wings. The ambient temperature at which impact ice can be expected to build most rapidly is about 25° F, when the super cooled moisture in the air is still in a semi liquid state. This type of icing affects an engine with fuel injection, as well as carbureted engines. 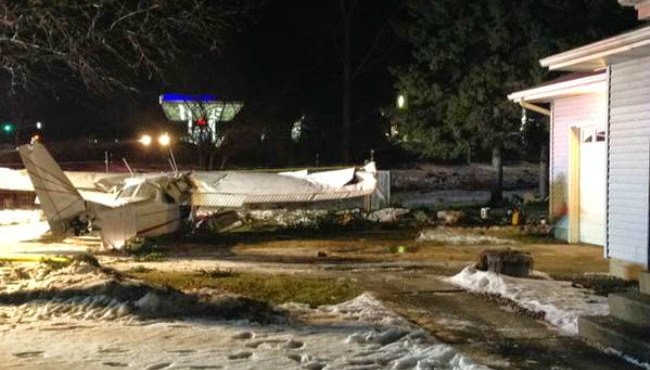 It is usually preferable to use carburetor heat or alternate air as an ice prevention means..."
SHIPSHEWANA - A crash landing -- and one lucky teenager. An 18-year-old pilot in training walked away after he crashed a small plane about half a mile from his house in Shipshewana Monday night. Then the 18-year-old decided to fly over his house, north of Shipshewana. He says he did everything he’s been trained to do, but the engine wouldn’t start. Jordan’s dad had just pulled up their driveway across the road. Rich called 911 and sped down the driveway and across the road to find propane quickly spreading and his son out of the plane and safe. “I was -- I'm speechless yet. God has a plan for him,” Rich said. Jordan says he has about 10 hours of flight time so far and twp hours solo. Even though he's pretty shaken up, he knows he's lucky. And he says he will fly again. Jordan is a senior at Westview High School in LaGrange County. He plans to study aviation at a college in Kansas in the fall. No one was in that home the plane hit. A neighbor says a family of three just moved out a week ago. LAGRANGE COUNTY, Ind. (WANE) – A Westview High School student walked away unharmed after a small plane he was piloting crashed around 5:30 p.m. on Monday. 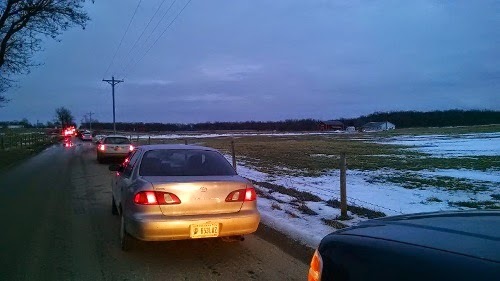 The two-seat plane went down in the area of 9595 W. 450 N. near the student’s home in Shipshewana. Jordan Stoltzfus, who is a senior at Westview, told NewsChannel 15 he had taken off from the Goshen airport at around 4 p.m. and flew to Elkhart, where he performed a couple of landings and takeoffs. He was flying over his home at about 2,500 feet when he said he noticed the plane’s engine was having problems and that the aircraft was losing altitude and airspeed. The engine eventually began idling and Stoltzfus crash-landed the plane in a field, where he said it slid into a propane tank. After the impact, liquid began coming out of the tank, so Stoltzfus shut off the engine and exited the aircraft immediately. Despite the crash-landing, Stoltzfus was not hurt. Stoltzfus said his father and a neighbor were the first people on the scene. 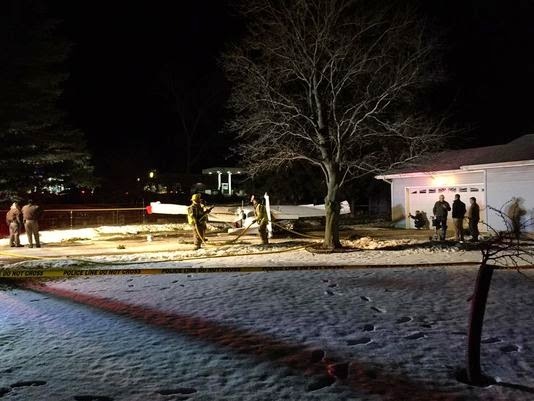 An 18-year-old pilot was shaken up but uninjured after the small plane he was in crashed into a propane tank northwest of Shipshewana Monday evening. Emergency crews were called to 9595 W. 450 N. at about 5 p.m. for the crash, according to a news release from the LaGrange County Sheriff’s Department. Jordan Stoltzfus was flying the Diamond Eclipse plane from the Goshen Airport when it lost power, his father, Rich Stoltzfus, told Elkhart Truth photographers at the scene. Jordan Stoltzfus tried to restart the engine, but it wouldn’t work, so he attempted to glide into a field off of 450 N., Rich Stoltzfus said. 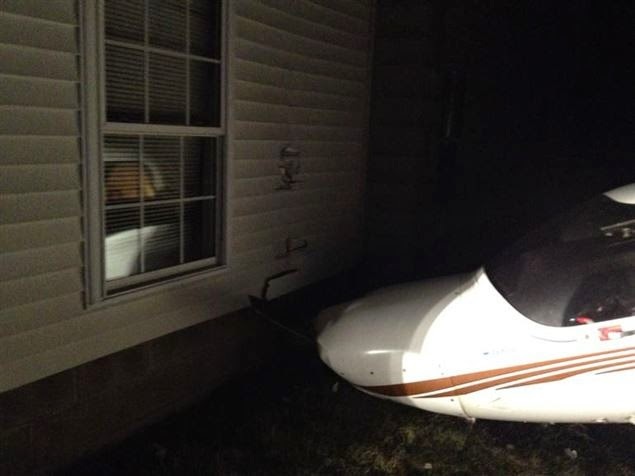 The plane continued gliding and hit a propane tank before hitting the west side of a nearby building. The plane did not go inside the building. Nobody was inside the building at the time of the crash. Propane leaked out of the tank and emergency officials blocked off the scene of the crash until it stopped. The leak stopped before the propane company arrived on scene, Rich Stoltzfus said. An Federal Aviation Administration safety inspector called to the scene didn’t identify himself and said that he was unable to speak to the media because of FAA policy. Calls to the FAA were not returned Monday night. The plane was manufactured in 2005 and is owned by New Horizons Aviation Inc., a company based out of the Goshen Airport that provides “professional flight training and aircraft rental,” according to its website. Jordan Stoltzfus is a student at New Horizons and was practicing flying for his class when the engine failed, Rich Stoltzfus said. 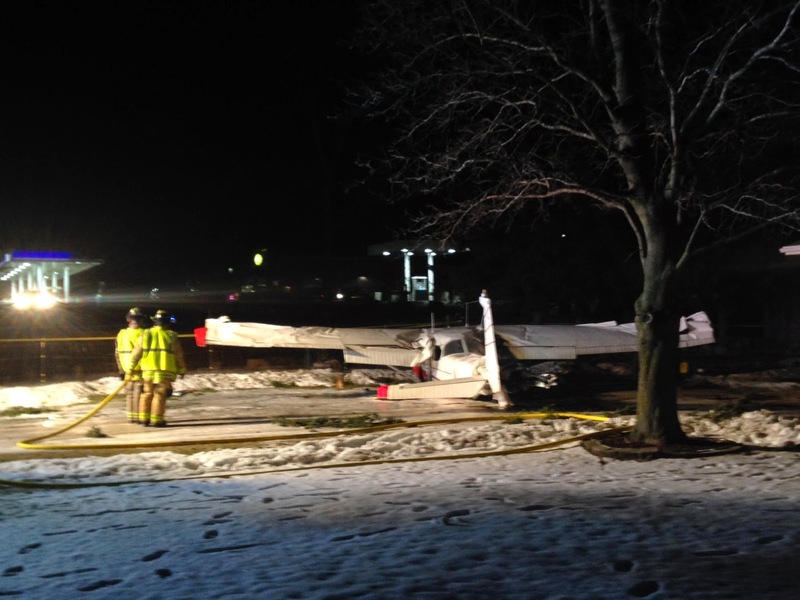 Update 6:45 1/19/2015 -- No injuries reported in the LaGrange County plane crash. The pilot survived the crash and was not transported from the scene. The home that the plane crashed into only sustained exterior damage to the siding. The interior of the home remains untouched. The FAA is currently in route to the scene. 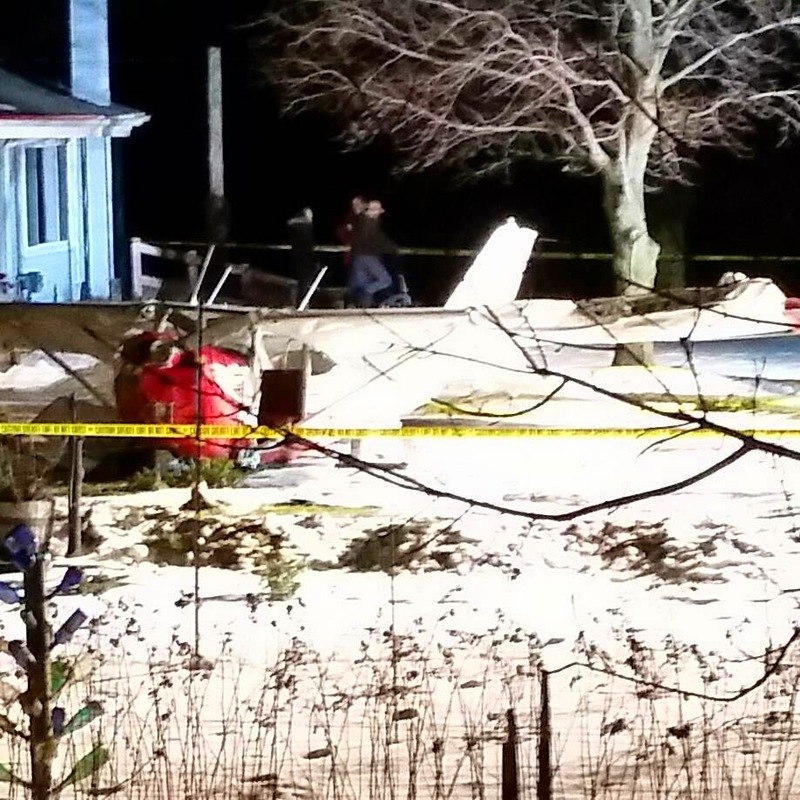 Update 5:40 1/19/2015 -- LaGrange County Dispatchers tell FOX28, the crash at W 450 N. appears to involve a single engine plane. 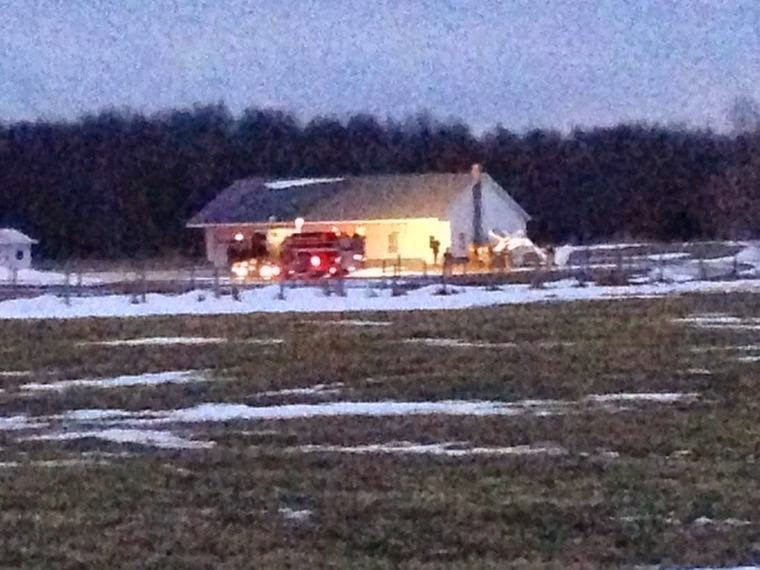 The LaGrange County Sheriff's Department says emergency crews are responding to a plane crash. Plane crashed in the area of 9595 W 450 N. Avoid the area. Emergency crews are on scene. A small plane has crashed northwest of Shipshewana. The initial report came into our newsroom from a viewer. An emergency dispatch representative confirmed it. 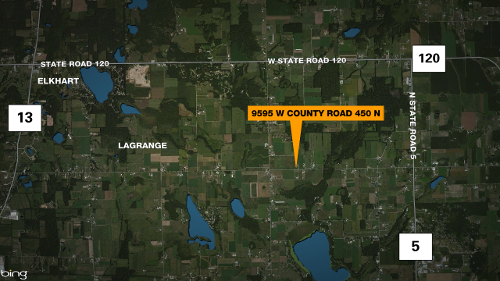 A LaGrange County Sheriff's release says the crash happened in the area of 9595 W 450 N.
Emergency crews are on the scene, and police are asking people to avoid the area. Plane Crash in the area of 9595 W 450 N. Avoid the area. Emergency crews are on scene. 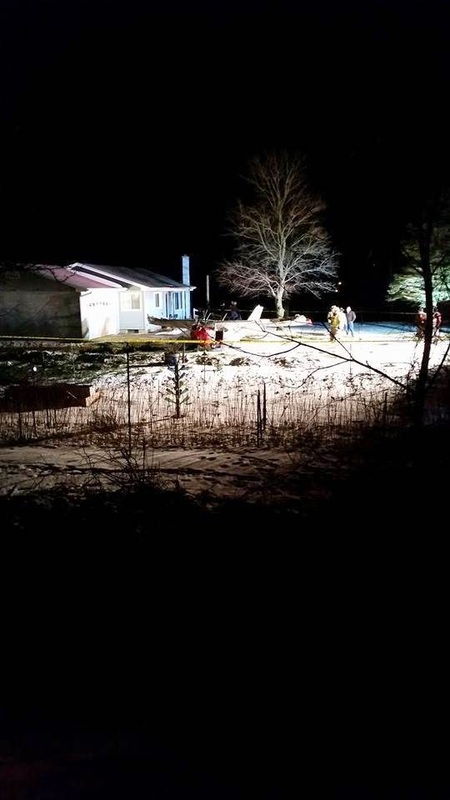 SHIPSHEWANA -- LaGrange County Sheriff's Department officials said there are no injuries in a plane crash at 9595 W. 450 North, northwest of Shipshewana. Emergency crews are at the scene. Sheriff's officials said the plane that crashed was a small plane. SANDPOINT, Idaho—One of Idaho’s most talked-about deer hunts took place last month not in the state’s spectacular backcountry, but at an airport within the city limits of this mountain community. Archers staked out camouflaged hunting stands on the grounds of the Sandpoint Airport after the city authorized bows and arrows to cull a herd of white-tailed deer that officials say cause safety concerns for pilots. It may not have been picturesque, but hunters say it was convenient. “I can drop the grandkids off at school, hunt for two hours and go back home,” said Nora Kedish, a 65-year-old retired notary, wearing full camouflage gear one chilly December morning. But none of the hunters killed a single deer—prompting the airport’s manager to ask state officials for another hunt this year. “If they extend the hunt, I will be No. 1 [to sign up] with my hand stuck up in the air,” Ms. Kedish said. Urban deer hunts are playing out across America as cities and towns attempt to curb surging numbers of the herbivores. The U.S. population of white-tailed deer, the most common across the nation, has soared to about 30 million from about 350,000 in 1900—creating hazards including increased collisions between animals and aircraft, according to a 2014 Federal Aviation Administration report. FAA figures show 1,070 collisions between planes and deer in the U.S. between 1990 and 2013, causing an estimated $45.6 million in damage and other economic costs. The agency said it didn’t have information on any resulting injuries. With fewer predators to keep the deer in check, cities have resorted to limited hunts, often with archery weapons such as crossbows. Rifles typically are prohibited from the city hunts out of safety concerns. In West Virginia, about a dozen cities have authorized deer hunts, including the state capital of Charleston, which began them in 2005. Urban hunts also have been approved in Iowa, Missouri, Ohio and Minnesota. Many of the hunts are restricted to areas outside populated neighborhoods, such as parks or airports. Hunters often are required to shoot from elevated stands, which means errant arrows are likely to hit the ground, not fly out of the hunting zone. In Sandpoint, a city of about 7,600 in the Idaho panhandle, the hunt last month was restricted to the more remote, industrial side of the airport, which serves small, private planes. Airport managers say the deer—numbering as many as 50 at times—have grown so accustomed to humans that they often wander onto an active runway, creating a safety hazard. In 2008, pilot Jan K. Lee was taking off in his private Alon Aircoupe A2 when he hit a buck in full sprint. The deer destroyed the right wing, and itself, causing the plane to veer into a fence and nearly shear in half, said Mr. Lee, 62, a home inspector who somehow escaped serious injury along with his wife, Paula. With as many as 80 takeoffs and landings daily (though no commercial flights) at the airport, Mr. Lee is among many here worried about a potential aviation disaster. “We could lose a lot of people,” he said. The hunts aren’t without opposition. Ashley Byrne, campaign specialist with the People for the Ethical Treatment of Animals, said communities should use nonlethal methods like pepper spray to deter the deer. 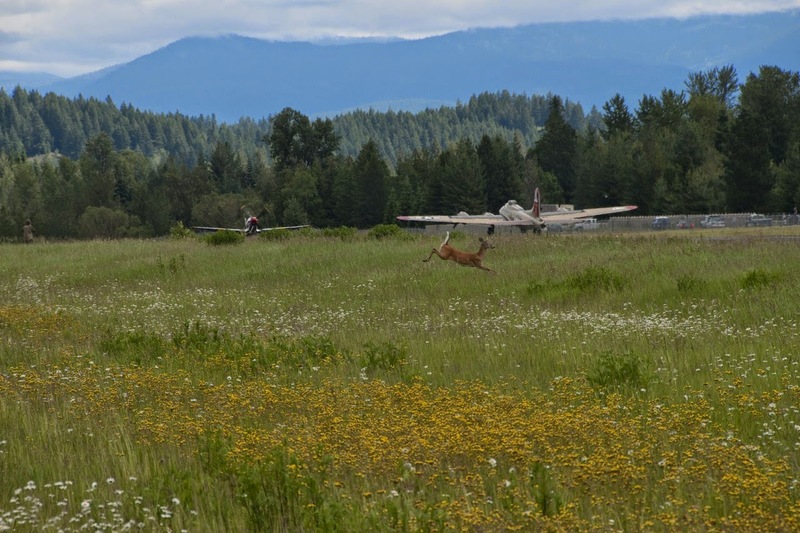 David Schuck, the Sandpoint airport manager, said that after at least two nonfatal accidents and numerous near-collisions in recent years, airport employees tried frightening the deer by shooting shotgun blanks and chasing them in vehicles. But, he said, the animals always return. Ultimately, the airport needs a wildlife fence around its boundary, at an estimated cost of $600,000 to $900,000, Mr. Schuck said. Such fences are common at other airports. But he said the facility won’t be able to get federal funding for it until 2019, after it acquires more land and clears other hurdles. In the meantime, Mr. Schuck asked the City Council in November to waive an ordinance against discharging weapons, including arrows, in the city during the deer-hunting season. The measure passed, 3-2. Despite strict safety rules, hunters jumped at the opportunity. Dave Bangle, 62, said the numerous restrictions made the hunt difficult. He unleashed one arrow at a deer that passed his stand on a recent day. It missed, though barely. Bowhunter Dave Bangle crouches in front of his deer blind at Sandpoint Airport last month. A woman who had been working in Sierra Leone with Ebola patients was taken off a United Airlines flight at Newark Liberty Airport in a hazmat suit Monday afternoon and transported to Hackensack University Medical Center after she exhibited a high fever and vomited on the flight, government officials and law enforcement sources said. The woman was identified only as a health care practitioner by authorities. They did not detail whether she is a doctor, a nurse or an aide and did not specify where she lives. Newark is one of five airports in the United States designated as a point of entry for people coming from parts of West Africa where there was an Ebola outbreak last year, and Hackensack is one of three hospitals in New Jersey authorized to isolate and assess potential Ebola patients. The patient was taken to Hackensack because it was that hospital’s turn in the rotation, said Alicia D’Alessandro, a spokeswoman for Bergen County Executive James Tedesco. She said that Tedesco is not aware of any other patients being sent to Hackensack since it was designated as an assessment center last year. The news brought media outlets from across the region to the Hackensack hospital Monday evening. Hackensack University Medical Center officials did not immediately return messages. The state Department of Health also did not respond to questions. The Boeing 777-200 aircraft, United Flight 45 from Brussels, landed at Newark Airport before 2 p.m. and the woman was taken off the plane by members of the Port Authority Police Department, authorities said. The responders also wore hazmat suits, and the woman was transported by ambulance to Hackensack at about 3 p.m., said a law enforcement source. The source said that all standard protocols were followed, which means that disembarking passengers were told to self monitor and report any changes in their health to authorities. United Airlines said the plane had been carrying 248 passengers and 14 crew members. 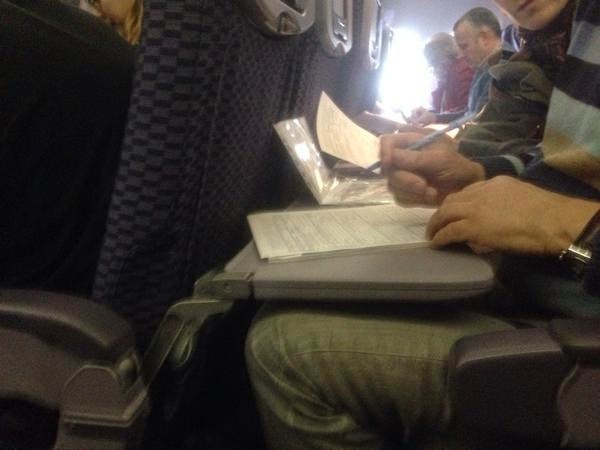 News 4 New York reported that a Twitter user on board the plane tweeted that authorities were having passengers fill out health forms and that responders were in Hazmat suits. Last month, the federal government tabbed Robert Wood Johnson University Hospital in New Brunswick as the only hospital in the state authorized to treat Ebola patients, and among 35 such treatment centers nationwide. The Hackensack University Medical Center and University Hospital in Newark were designated at the time as “assessment hospitals” where a patient would receive care for up to 96 hours while awaiting results from an Ebola blood test. Protocols call for passengers coming from Sierra Leone, Liberia or Guinea who exhibit possible Ebola symptoms, like high fevers, to be transported to designated hospitals, where they are placed in isolation and assessed. Passengers originating from those countries are limited to five points of entry. In addition to Newark, they are John F. Kennedy International Airport, Washington-Dulles, Atlanta-Hartsfield and Chicago-O'Hare. United passengers on Brussels to Newark flt fill out health forms after 5 health officials board plane. ADRIAN - An engineering firm is being hired to begin work on the possible acquisition of up to eight more houses at Lake Madison to resolve continuing litigation involving the Lenawee County Airport. Lenawee County commissioners voted 6-2 Wednesday to contract with Lansing-based Mead & Hunt. The company is to set up a process for making appraisals and lay the groundwork to acquire additional Lake Madison properties, said county administrator Martin Marshall. A round of lawsuits over five houses near the airport at Lake Madison were concluded last year with the airport purchasing the entire properties. The litigation began with eminent domain action by the county commission to obtain easements to air space above the homes to maintain an object-free protection zone. Another lawsuit was filed last year by four other Lake Madison home owners, claiming their property values have also been destroyed by a runway extension at the airport nearly 10 years ago. The lawsuit claims the longer runway “invites larger, faster, lower-flying aircraft” to use the airport. Airport development plans calling for the eventual acquisition of easements over the property also make the houses “unmarketable,” according to the complaint. Attorneys for the homeowners asked a judge to order the airport closed or that 1,000 feet of the runway not be used until the lawsuit is resolved. Marshall said there are a total of eight houses in the Lake Madison subdivision that could be involved in court action and eventual purchase by the county. State aviation officials favor proceeding toward agreements with the property owners rather than engaging in lengthy litigation, Marshall said. Lawsuits in the first round of litigation went on for seven years with multiple appeals. A Delta plane heading from Atlanta to Japan returned to the Atlanta airport Sunday morning after a smoky odor was reported coming from the aircraft’s landing gear. The Federal Aviation Administration told Channel 2 Action News that a pilot on another flight reported smoke coming from Delta Flight 95’s landing gear just after take-off from Hartsfield-Jackson International Airport. The Boeing 777 was carrying 291 people at the time. A Delta spokesperson says the crew elected to return to Atlanta. Upon return, the FAA says the aircraft flew at 7,000 feet to release fuel before landing. “Pilots who return to an airport soon after departure may dump fuel to make the aircraft lighter before landing,” an FAA spokesperson said. A Channel 2 Action News viewer took video of what appears to be fuel being dumped from the plane about five miles northwest of Fulton County Airport around 11:15 a.m. Sunday. A Delta Airlines spokesperson denied that the plane dumped any fuel prior to its return to the airport. All passengers deplaned while airport firefighters and Delta technicians inspected the plane. Delta says the aircraft was cleared to return to service around 1 p.m. Sunday. The passengers re-boarded the same plane and took off for Narita Airport in Japan. Four people are being questioned by police after a man was shot and another person severely beaten in at a hotel near Midway Airport early Sunday in southwest suburban Bedford Park. Crews were called at 1:18 a.m. to a fight at the Residence Inn Chicago Midway Airport at 6638 S. Cicero, according to a statement from Bedford Park police. 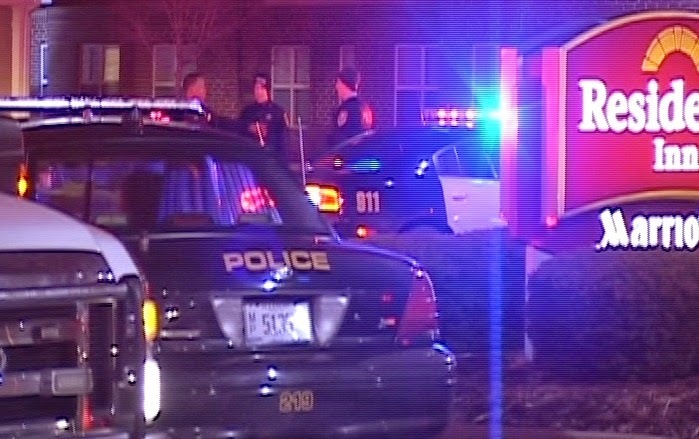 Officers found two males in a third-floor hotel room, one with a gunshot wound to the lower leg and the other “beaten up severely,” police said. Both were taken to Advocate Christ Medical Center in Oak Lawn with injuries that weren’t thought to be life-threatening, police said. Their exact ages weren’t immediately available, but police said the man shot was an adult. A handgun was recovered at the scene and four people of interest were being interviewed by detectives Sunday morning in connection with the shooting, police said. Kathleen Sebastian, spokeswoman for the Residence Inn’s management company, said the hotel is cooperating with the police investigation. “As this is an ongoing investigation it would be inappropriate to provide further comment,” Sebastian said. GRAND FORKS — A bill introduced in the North Dakota Legislature that would require police to get a warrant before using an unmanned aircraft for surveillance is facing opposition from a local law enforcement official. The proposal, House Bill 1328, would prohibit law enforcement agencies from using an unmanned aircraft to surveil people, as well as business or personal property, without first obtaining a warrant in order to gather evidence of criminal activity. Warrants to conduct surveillance with unmanned aerial systems could only be issued in the investigation of a felony, and not “misdemeanors, traffic infractions or other non-felony violations of the law,” the bill states. The bill’s primary sponsor, state Rep. Rick Becker, R-Bismarck, introduced a similar bill last session that passed the House. He said his goal is to protect civil liberties. A number of exceptions are written into the bill, including using UAS for research and training, patrolling national borders, immediate danger to life or bodily harm, or a weather-related catastrophe. Al Frazier, Grand Forks County deputy sheriff and chief pilot for its UAS, said he has “serious concerns” about the bill. He said rapid changes in the western part of the state are stretching law enforcement resources, making UAS all the more important. “In a state that is starting to experience big-city problems ... with gang members, prostitution, illicit drug use, we need more law enforcement assets to get those problems under control,” he said. Frazier said local law enforcement has used small UAS primarily on areas where a crime has already occurred, looking for lost people and assessing erosion damage. One notable case of the technology’s use in law enforcement occurred in 2011, when a U.S. Customs and Border Protection unmanned aircraft was used to assist the Nelson County Sheriff’s Department in the arrest of a Lakota farmer. The department used a military-style drone in June 2011 to ensure a family was not carrying any weapons before going to their farmstead and arresting Rodney Brossart. While Becker said there’s not an existing problem with police using UAS for surveillance, he said the technology has more capabilities than officers on patrol. But Frazier said there’s existing case law that shows when a warrant is needed in an aerial search. He cited the U.S. Supreme Court case of Florida v. Riley, in which an officer saw a marijuana growing operation from a helicopter 400 feet above ground, an observation that led to a search warrant. CLEARWATER — The list of U.S. and international cities with flights into the Tampa Bay area’s two airports seems to grow every few months. Pittsburgh, Indianapolis, Richmond, Va. and Tulsa, Okla. are among the domestic cities with direct flights on Allegiant Airlines starting this year at St. Pete-Clearwater International Airport, one of the budget carrier’s busiest destinations. Across the bay at Tampa International Airport, direct air service from Europe and Latin America continues to expand with aviation giants such as Edelweiss, Copa Airlines and, recently, Germany’s Lufthansa. Airport officials and tourism leaders have invested serious time and money in luring these airlines, both large and small, in recent years. They say it already is paying off in the scores of new travelers that now have easy access to Florida’s Gulf Coast. “It’s the destination that drives this market,” said Noah Lagos, director of the St. Pete-Clearwater airport in Clearwater. In 2006, the tourism appeal of the area’s beaches drew a nascent Allegiant Airlines to make Pinellas County one of its first destinations as the leisure air company expanded from its Las-Vegas base, Lagos said. The airline has grown rapidly in the past decade and will fly non-stop to 41 U.S. cities this year based on routes that already have been announced, with more additions expected. The airport enjoyed the second-busiest year in the county-owned facility’s history last year, with 1.24 million passengers flown here primarily by Allegiant, which accounts for 95 percent of all passengers. Lagos this year fully expects to break the 2004 passenger record of 1.3 million and suspects there will be even more new routes announced before the end of December. “There are more to come, I know that. I don’t know when those announcements are going to be and I don’t know what they are,” he said. Tampa International Airport in the past three years has opened up global markets by capturing several top international carriers that previously showed interest only in Miami and Orlando. Raising the profile of the Tampa Bay area with airline executives and tour operators in Europe and Latin America has been a key goal for CEO Joe Lopano since taking charge in 2011. “People are now starting to understand Tampa-St. Pete as a wonderful destination, one that really hasn’t been discovered before. When I first got here, that became our prime objective: to create awareness of this area,” he said. Since 2010, international air traffic at Tampa has gone up by 53 percent and the new airlines like Panama-based Copa and Swiss carrier Edelweiss have enjoyed high passenger loads — between 75 and 90 percent capacity — prompting them to add more flights, according to airport officials. Both airports have had strong backing from tourism agencies, economic development officials and chambers of commerce on both sides of the bay as they’ve pitched their destination to airlines around the country and world. With both Pinellas and Hillsborough counties enjoying record visitation and hotel bed tax collections in the past couple of years, agencies are pooling their resources to bring more travelers here, regardless of whether they choose to head to the beach or to Busch Gardens. “We always come together when we’re trying to lure an airline,” Visit Tampa Bay CEO Santiago Corrada said. The Hillsborough County Aviation Authority board raised $1.2 million from local business and tourism industry sources for a one-year financial incentive package to entice Copa Airlines to fly into Tampa, linking the area with the airline’s hub in Panama City that connects with 50 destinations. Visit St. Pete/Clearwater alone has committed $200,000 in both the 2014 and 2015 fiscal years in a marketing deal with Copa, and the agency has offered similar support to other new airlines in recent years. The agency has more than doubled its annual budget for air service development and marketing since 2012, devoting more than $559,000 in 2015. Since Copa began flying to the area in December 2013, Latin American visitors to Pinellas County’s beaches have increased by nearly 50 percent, and VSPC has hired full-time staff to travel the region and promote the destination. “It raises the profile of the destination within the entire region because we have a talking point: You can get here directly now. And that does create interest from other airlines,” said VSPC Director David Downing. Following the success of the Edelweiss flight from Zurich to Tampa that started in 2012, Germany’s Lufthansa will begin providing service in September from Frankfurt, one of the busiest hubs in Europe. It’s difficult to quantify exactly how much incoming tourism a given airline route generates, and business travel also accounts for a good share of passengers coming and going to Latin America and Europe, says Lopano. “Once we become established as destination of leisure, we also become a target for business opportunities,” said Lopano. A case in point was a trade mission to Chile in December attended by the mayors of Tampa and St. Petersburg, along with business leaders and county commissioners from both Pinellas and Hillsborough counties. While Allegiant Airlines historically has focused on leisure travel from smaller markets, the company’s offering of convenient, direct flights from mid-sized cities such as Cincinnati, Indianapolis and Pittsburgh opens the door for growth in low-cost business travel, Lagos said. The Clearwater airport’s tagline “Tampa Bay the Easy Way” is meant to underscore its distinctiveness from its much larger neighbor across the bay for both business travelers and vacationers – a quick walk from a surface parking lot to the terminal, short lines and 50 direct flights with no layovers in big airport hubs. Although Tampa’s airport has received a lot of press in recent years by landing big international flights, tourism officials say St. Pete/Clearwater’s rapid growth into a multitude of new markets in the United States and Canada should not be overlooked. “A lot of times, sure, there seems to be bigger stories in international or more well-known brands internationally, but pound for pound, it’s really hard to beat what Allegiant has brought to the table,” said Downing. That’s in part because about 30 percent of the air company’s revenue comes from vacation package bookings, combining cheap airfares with hotels and rental cars, which translate directly into overnight hotel stays. Lagos budgets for two new flights a year at the airport, but that’s been consistently low in the last several years. Aside from Allegiant’s routes, the airport also serves three Canadian cities seasonally with Sunwing Airlines, a flight to Gulfport, Miss. and recently announced service to Key West and Ft. Lauderdale on Silver Airways, while a large share of daily traffic comes from corporate aviation, U.S. Coast Guard flights and UPS cargo planes. The airport will conduct a two-year master plan study starting in 2017 to consider future needs and is in the process of making terminal and parking improvements. Tampa International just began the first phase of construction on a massive master plan renovation and expansion project. “We’ll be good for a few years,” said Lagos.